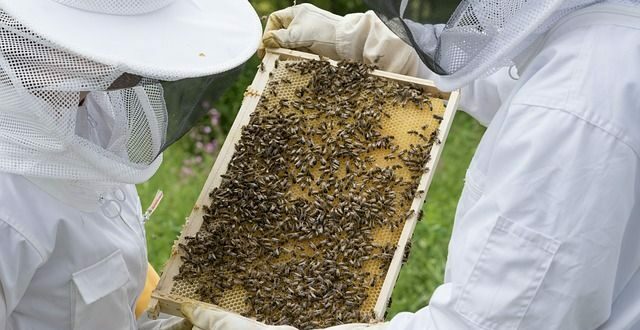 In this article, we’re going to be talking about the Top 15 Best Beekeeping suits for beekeeping, that you can get hold of in 2019. How much a beekeeper suit is? Should you buy a cheap or more expensive beekeeper suit? What material is a beekeeper suit made of? Where exactly is the best place to buy a beekeeper suit? How do you wash a beekeeper suit? 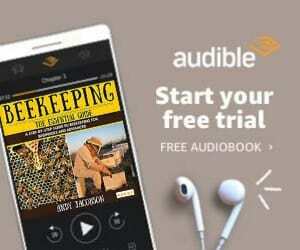 Therefore, if you’re already knowledgable on the above questions, which we’re about to discuss, then feel free to go ahead and skip this section, and go directly to the list of best beekeeping suits. Otherwise, sit back, and have a relaxing read of this guide, and we really hope that it will serve you as being highly informative. How much a bee suit is? Should you buy a cheap or more expensive bee suit? What material is a beekeeping suit made from? 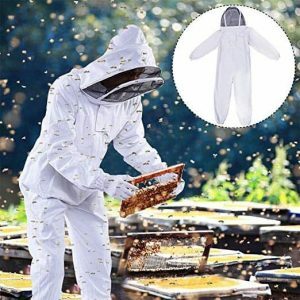 Where can I find Beekeeper Suits for Sale? How to wash a bee suit? Beekeeping suits vary in price, mainly due to the fact that there are so many different brands, material qualities and accessories that are included within the ‘bee suit’ package. High-quality bee suits which help provide more ventilation, alongside sting-proof bee suits, will be more expensive… Due to better quality materials that are used to create the clothing. Not to mention, the size that you require will also make a difference to the price, with Large bee suits, XL bee suits and XXL bee suits being more expensive than XS, Small bee suits and Medium bee suits. Additionally, some bee suits offer slightly different items… With some cheaper options excluding gloves and bee suit trousers. However, as a general price-guide, bee suits for sale will cost anywhere from around $50 to $150. We get this question quite a lot, and the simple answer is to find the best quality bee suit, which provides the highest quality protection, for the lowest price of which is affordable for your particular budget. Now, with other pieces of beekeeping equipment, we tend to not recommend that you buy the ‘most expensive’ items, but generally when it comes to bee suits, and your personal safety is potentially at risk, we highly recommend that you purchase a high-quality beekeeping suit, which includes all of the accessories (gloves, veil and trousers). Make no mistake, we work hard to find the best quality suits for our lists! So if there’s a good deal out there, we’ve found it and featured it below. Bee suits are often made from a range of different materials, this can depend on the style and cost of the suit itself. However, generally, bee suits are made from either Polycotton, Ventilated and Aerated materials, with polycotton being the least expensive and aerated being the most expensive. Some are created with a mix of materials, which includes synthetics, which often provides more breathability. We’ve clearly displayed which type of material each of the bee suits in our list are made from. Where’s the best place to buy a bee suit… Well, we recommend that our visitors look on our blog before buying a bee suit. We feature the most researched, highest quality bee suits around. Another question that we regularly get is, how to best wash a bee suit… And the best answer that we can provide here is… Each bee suit will have different washing requirements, as they’ll be made of slightly different materials. So, remember to check the label when your bee suit arrives in the post! 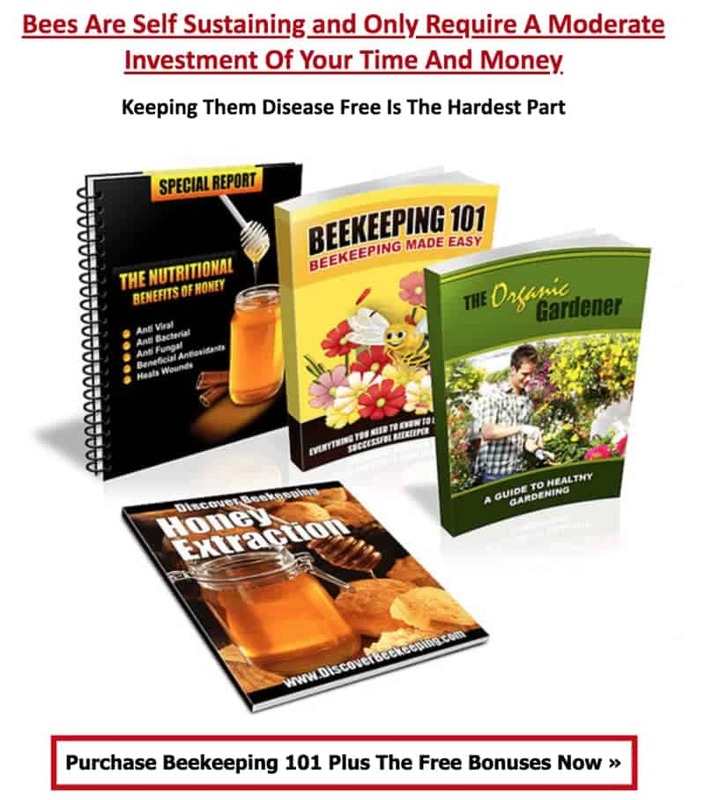 As with all of our beekeeping ‘buyers guides’, we only include items which have at least received a 4* Amazon review rating, and we’ve ordered by price so that you can view the least expensive at the top, to the most expensive at the bottom. Ok, with that all being said, let’s get to discussing what the best beekeeping suits are in 2019. This beekeeping suit, manufactured by DGCUS is a professional, full-body suit with a self-supporting veil hood. The suit itself is made primarily from cotton, and polyester, making it extremely lightweight. It has elasticated wrists and ankles, to help ensure maximum protection so that bees and wasps cannot crawl up the sleeves and legs… However, you’ll need to make sure that the elastic has fully expanded, and there is no gap allowing the smaller bees to crawl up. Optionally, the hood mesh provides a good level of protection and is completely removable, for washing purposes. This full beekeeping suit by Xgunion is another extremely affordable option for a beekeeper on a budget. It includes all of the required protection, from the jacket, pants, gloves and a self-supporting rounded veil. All of the included suit equipment is lightweight and fits close to the skin, with elastic wrists and ankles on the suit itself, to help prevent bees and wasps from crawling in. The bee suit only comes in one size, and it’s recommended for beekeeper under 5ft 10 inches. 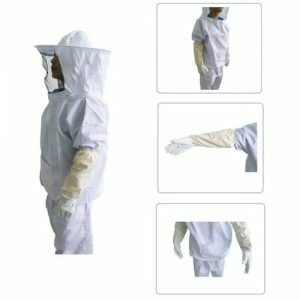 The VIVO bee suit is a comfortable, lightweight option for any beekeeper who’s looking for high-quality, for a very reasonable price. VIVO is renown for manufacturing quality beekeeping equipment, and this bee suit does not disappoint (considering it’s a budget option). Despite the overall great reviews, some beekeepers want the creme de la creme, without the price-tag, and sadly this isn’t always possible. Therefore, if you’re looking for an insanely high-quality bee suit, this may not be for you, but it certainly is good-quality. Additionally, there have been some reviews which suggest that beekeepers around the height of 6’3″ can also use the XL sized apiary suit. The Bee Smart 600 is an extremely tough, durable bee suit which we particularly like, not only because it’s very affordable, but because of the way in which the overall suit has been constructed. It’s made of a very strong 280 g/m2 polyester & cotton material, helping prevent invasive bee stings. Additionally, it has heavy-duty brass zippers, which feature a large metal ring on the handle which makes for easier operation with gloves on… What great thinking! Similarly to most bee suits, the Bee Smart 600 has elastic wrists and ankles, but it also has an additional thumb-strap of elastic, to make sure that the wrist material stays in place. Overall, if you’re a beginner on a budget, we HIGHLY recommend this bee suit, with reviews stating that you are nearly impenetrable to bee stings when wearing the Bee Smart 600. The Mann Lake Economy beekeeping suit created by one of the leading beekeeping equipment manufacturers in the industry. Because of this, the suit is not only extremely affordable in price, but it provides high-quality protection, with the overall review rating being sky high with praise. Mann Lake has done a great job in leaving no stone unturned, so to speak. They’ve provided the suit with elastic wrist and ankle support, with the additional thumb, holds; As well as, heavy-duty zippers with velcro closure flaps… Making sure that those bees stay out! This is a fantastic option for beekeepers who are looking for high-quality mixed with affordability. This beekeeping suit by Forest Beekeeping Supply is a relatively lightweight unit, made from premium cotton, making it breathable and sweat-preventing. Similarly to other apiary suits within the list, a few of its useful features include its strong brass zippers, elastic sleeves and ankles, and thumb straps to keep the sleeves in place. Additionally, this bee suit has a removable veil which is especially useful when looking at potentially washing the suit. As far as the reviews go, the suit has been noted as being particularly comfortable and perfectly able to prevent stings. This beekeeping suit by the Natural Apiary company provides the ultimate combination of features, suitable for any type of beekeeper, from new to experienced, whilst offering great value for money. Firstly, the suit has been noted to be very strong, withstanding bee stings and being extremely lightweight, to help provide the beekeeper with better manoeuvrability. However, even whilst providing such good protection, the material is noted to be very breathable, and some beekeepers have said they use it without breaking much of a sweat in plus 90-degree temperatures. Additionally, the veil has a reinforced frame which protrudes out away from the face, preventing the bees from getting close… Always a benefit! This is another beekeeping suit by the Natural Apiary company, and has the same technical specs and features as the above bee suit, besides from having a camouflage design. All-in-all, this suit provides the ultimate combination of features, suitable for any type of beekeeper, from new to experienced, whilst offering great value for money. Firstly, the suit has been noted to be very strong, withstanding bee stings and being extremely lightweight, to help provide the beekeeper with better maneuverability. However, even whilst providing such good protection, the material is noted to be very breathable, and some beekeepers have said they use it without breaking much of a sweat in plus 90-degree temperatures. The 410 bee suit by Humble Bee is one of the company’s more affordably-priced beekeeping suits, which features a self-supporting round veil, heavy-duty brass zippers, durable double-stitched pockets and a deluxe carrying case… Not bad right! The suit itself is made from a synthetic blend, which provides an impressive amount (280 gsm) of protection from bee stings. We have heard (from the Amazon review ratings) that the sizings feel a little small, so considering getting the ‘next size up’ could be a good idea! It will fit both men and women, with a maximum size of around 6ft 2inches. The 411 bee suit by Humble Bee is another one of the company’s more affordably-priced beekeeping suits, next to the 410. The major difference between the 410 and 411 is the veil, with the 411 featuring a self-supporting fencing veil instead of a rounded on. The 411 bee suit also has heavy-duty brass zippers, durable double-stitched pockets and a deluxe carrying case… Not bad right! Similarly to the 410, the 411 is made from a synthetic blend, which provides an impressive amount (280 gsm) of protection from bee stings. The majority of the product’s reviews are positive, so we’re more than happy to recommend this bee suit to our readers, knowing with near to 100% confidence that it will serve you well. The U84 apiary suit by Bees & Co is a unisex beekeeping suit, suited for the beekeeper who wants high-quality, combined with lightweight materials. Bee & Co have included a 2-year manufacturers warranty with this suit, alongside all of its main components which include the removable fencing veil, cotton cuffs, elasticated waistband, elastic thumb and foot loops. Additionally, the suit has vented pockets, cotton knee pads for kneeling, two leg hive tool pockets, double stitched materials and heavy-duty zippers… Wow, that was a lot to get through! The 430 bee suit by Humble Bee is the company’s more mid-budget range beekeeping suit, featuring the same blend of cotton and synthetic materials… However, being slightly softer than the previous 410 & 411 suits, with more emphasis on providing the beekeeper with increased ventilation, whilst also providing a good level of overall protection from bee stings. The 430 bee suit also has heavy-duty brass zippers, durable double-stitched pockets and a deluxe carrying case… Not bad right! Additionally, this apiary suit has been noted for fitting very well, having elastic wrists and ankles to prevent bees from crawling up, plus thumb and footholds to keep the suit in place. Also, beekeepers have noted the veil in providing excellent visibility with 360-degree viewing, which is extremely important for any bee suit. The 420 bee suit by Humble Bee is another one of the company’s more mid-budget range beekeeping suit similar to the 430. It features the same blend of cotton and synthetic materials… However, being slightly softer than the previous 410 & 411 suits, with more emphasis on providing the beekeeper with increased ventilation, whilst also providing a good level of overall protection from bee stings. The 420 bee suit also has heavy-duty brass zippers, durable double-stitched pockets and a deluxe carrying case… Not bad right! The Oz Armor beekeeping suit is one of the most protective suits on our list, made from a double-layer of fabric mesh which provides 300 GSM of protection… Which means that you’re pretty much invincible and immune to bee stings whilst wearing the suit. However, the suits fabric and design also allows air to easily circulate around your body, meaning that you’re not going to overheat when wearing it. The suit has a unique patent which is a plastic insert on the top of the hoot, which keeps the mesh away from your nose… Especially important so that you’re comfortable and confident that bees can’t get anywhere near your face. Not only this, but keeping the mesh further away also increases visibility, allowing you a greater viewing angle. The suit is machine washable, with the hood being detachable and washable by hand. Cowhide gloves are also included, which are strong and ventilated… Meaning that you’re good to go! The 432 bee suit by Humble Bee is one of the company’s premium-priced beekeeping suits. It has similar features to the other Humble Bee suits, including the same blend of cotton and synthetic materials… However, being slightly softer than the previous 410 & 411 suits, with more emphasis on providing the beekeeper with increased ventilation with five ultra-breathable ventilation panels (220 gsm), whilst also providing a good level of overall protection from bee stings. 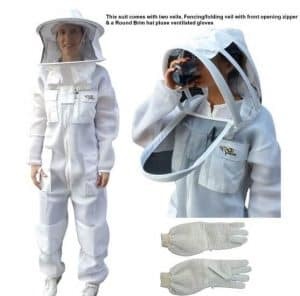 The 432 bee suit also has a foldable, removable square veil, full-face mesh for unobstructed viewing, two double-stitched front pockets, two ballistic nylon hive tool pocket, heavy-duty brass zippers, durable double-stitched pockets, cushioned knee pads and a deluxe carrying case… Plenty of value for the cost! The Max Pro beekeeping suit by Natural Apiary is the most expensive bee suit that we’ve featured within our list. Now, we don’t like to just include premium-priced bee suits for no reasons, and in this case, the Max Pro is featured here deservedly, with it receiving a wealth of praise from the beekeeping community. You only have to look at the Amazon review ratings to see a sample of this appreciation. As for the apiary suit itself, it’s made from high-quality cotton (245 GSM), and has metal YKK zippers, velcro seals, strong elastic ankle and wrist seals, a reinforced thick collar, cuffs with thumb loops, deep hive tool pocket, large thigh pockets and velcro secured top pockets. Not only this, but the suit is machine washable, and the veil itself can be hand-washed. Overall, if you’re looking for a premium-quality bee suit which combines high-quality bee-sting protection and comfort, then the Max Pro may be for you!